Recipe Source Online: Crockpot Chicken -- the whole bird! 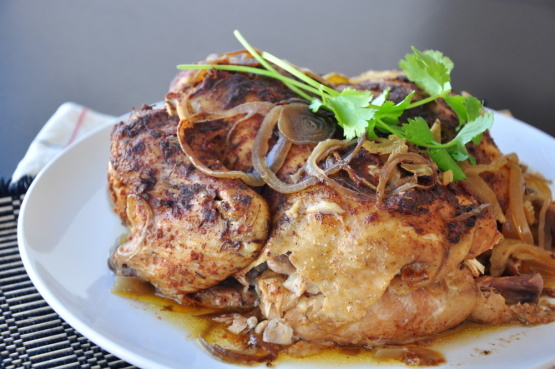 Crockpot Chicken -- the whole bird! Place in resealable plastic bag and refrigerate overnight. (I usually skip this step because I'm always in a hurry). Add chicken. No liquid is needed, the chicken will make its own juices. Note: I highly recommend a pop-up timer in the chicken because some crock pots cook faster/slower than others (my crock pot cooks this recipe in 4-5 hours).